On behalf of admin of JML Law, A Professional Law Corporation posted in Car Accident on Thursday, May 31 2018. Recently Will Ferrell was involved in a car accident as an SUV toppled over and flipped while he was a passenger. 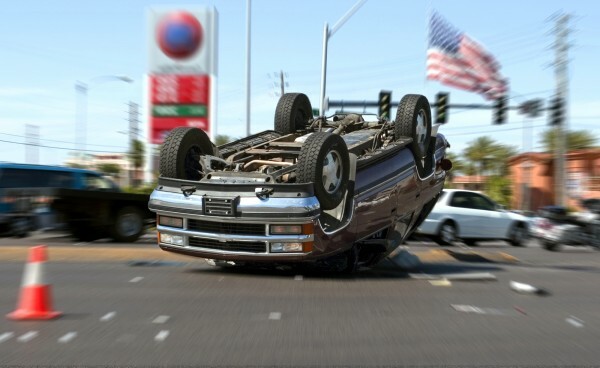 While the fifty-year-old actor was left unscathed, when a car drove into his lane and caused the SUV to turn on its side the other passengers in the SUV were injured and taken away from the scene to be treated. While Will Ferrell was grateful for the paramedics at the scene and for his friends to be treated as soon as possible, the question arises as to what compensation is available to you if you are injured as a passenger? In most cases most drivers have a lot of rights for compensation. The thing that most passengers don’t know is that most passengers tend to have more rights than the driver themselves. If you are in an accident where the other driver is at fault your case will be filed against them and if the accident occurred due to both drivers you have the option to sue them both. If in the unfortunate event you are in the car that causes the accident you can sure the driver of that car. Can you be at fault for the accident? If you were the passenger on an accident under no circumstances can you be held liable for the accident or any damages that have to paid. This allows you to get the maximum compensation that you deserve, especially if both parties were to blame for the accident. Often the car insurance policy of a driver has a ceiling as to how much you can claim. When there is an accident there can be a lot of emotional damage alongside physical damage. The damage that occurs needs compensating and when both of the drivers have been at fault then you can claim the maximum amount of compensation, allowing you to receive a bigger sum. When can you not get the full amount of compensation? Even though there are no occasions where you can be held liable if you get compensation, or if the amount you may receive may be cut down or diminished due to something called comparative fault. The amount of compensation you could get is based on the amount of fault that can be blamed on you. An example of this is knowingly getting into a car with a drunk driver which resulted in a car accident and injury. It is very rare that if you do have comparative fault that you do not get awarded compensation. Instead if you were fifty percent at fault then you will receive fifty percent less compensation from the case. If you have been faced by a car accident of any sort that has been detrimental to you and caused you an injury then car accident lawyers in Los Angeles are here to fight for your rights. If you need advice and help from a car accident attorney in Los Angeles call JML law on 818-610-8800 for a free consultation.